The objective of the two-day visit to Pretoria was to consult on issues of mutual interest, paying particular attention to bilateral and economic cooperation, including regional and continental matters. 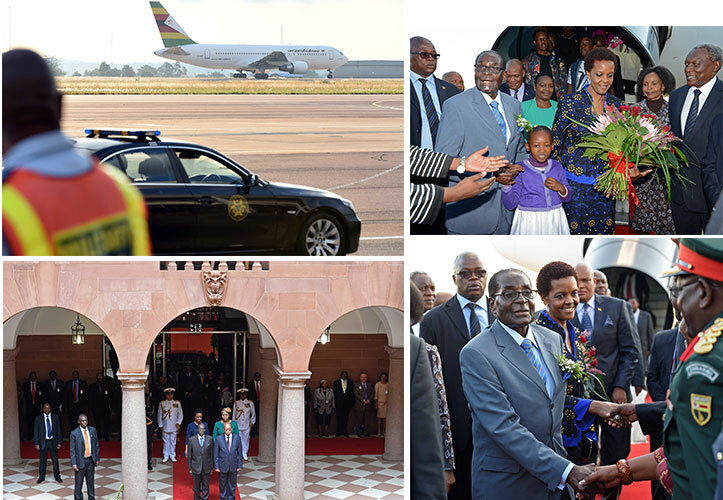 On 8 April, President Jacob Zuma received Zimbabwe’s President Robert Mugabe for a State Visit. “The visit will further strengthen the historical, cultural and fraternal bonds that exist between South Africa and Zimbabwe,” the Department of International Relations and Cooperation said in a statement. The visit saw the signing of several agreements, including the Bi-National Commission Agreement, whose objective will be “to elevate bilateral relations between the two countries”. South Africa and Zimbabwe share common historical and cultural bonds anchored on Zimbabwe’s support for South Africa’s liberation struggle. Economic cooperation between the two countries has grown well over the past decade as evidenced by the presence of a large number of South African companies in Zimbabwe as well as increasing trade volumes. In 2014, South Africa’s exports to Zimbabwe amounted to R24,8 billion, while Zimbabwe’s exports to South Africa reached R2 billion. South Africa and Nigeria enjoy close bilateral relations structured under the Bi-National Commission that was officially inaugurated in 1999. South Africa's bilateral partnership with Nigeria spans a wide spectrum covering political, economic and social cooperation. 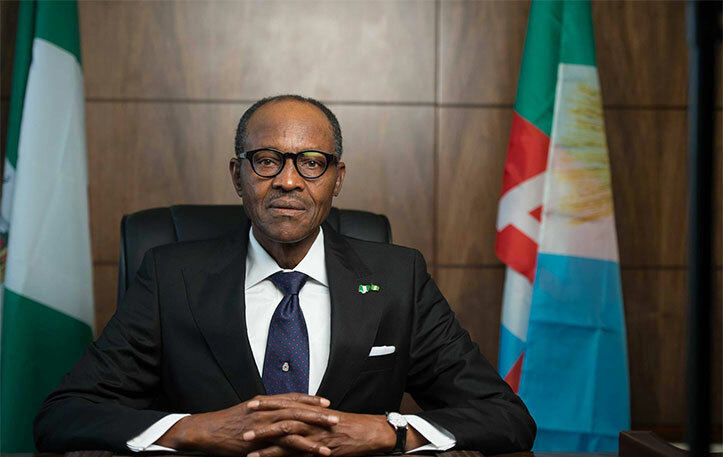 President Jacob Zuma has congratulated the incoming President of the Federal Republic of Nigeria, Muhammadu Buhari, on his successful election following the Presidential Elections held on 28 March 2015. President Zuma has also commended the outgoing President of Nigeria, Goodluck Jonathan, for his leadership and commitment to consolidating democracy, peace and stability in Nigeria. On 31 March 2015, President Jonathan conceded defeat; a move described by President Zuma as indicative of President Jonathan's readiness and commitment to ensure a smooth transfer of power with a view to consolidating democracy, peace and stability in Nigeria. President Zuma said: "Terrorism in any form and from whichever quarter cannot be condoned. South Africa stands firmly with the international community in condemning all terrorism, and stands in solidarity with Kenya." 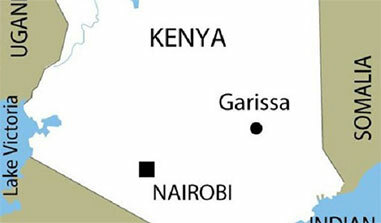 The South African Government condemns in the strongest possible terms the barbaric and cowardly terrorist attack at Garissa University College in the Republic of Kenya on 2 April 2015 that resulted in the killing of more than 140 people. Speaking on behalf of the Government and people of South Africa, President Jacob Zuma expressed his shock and dismay at the attack. President Zuma also expressed his sympathy and deepest condolences to the Government and people of Kenya, especially families of the victims. The South African Government reiterates its support for Kenya's and the international community's efforts aimed at peacekeeping, stability, democracy and nation-building in Somalia. All the deployments are authorised in accordance with the provisions of section 201(2)(c) of the Constitution of the Republic of South Africa, 1996. President Zuma has extended the deployment of members of the SANDF for service in fulfilment of international obligations of the Republic of South Africa towards the United Nations (UN). One thousand three-hundred and eighty-eight members will participate in the UN Organisation Intervention Brigade as part of the Force Intervention Brigade (FIB) of MONUSCO in the DRC. 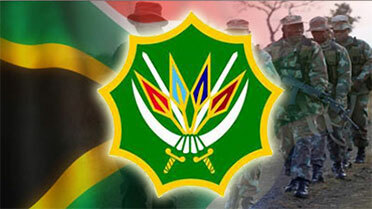 Members of the SANDF were employed for the period of 1 April 2014 to 31 March 2015 and the employment has now been extended to 31 March 2016. The total expenditure expected to be incurred for the employment is R909 687 562. The President has extended the deployment of members of the SANDF for service in fulfilment of international obligations of the Republic of South Africa towards the SADC. Two-hundred and twenty members of the SANDF were deployed to monitor and deter piracy and other related illegal maritime activities along the southern African Coast of the Indian Ocean. They were deployed for the period for the period of 1 April 2014 to 31 March 2015 and the deployment has now been extended to 31 March 2016. The total expenditure expected to be incurred for the employment is R127 027 773. President Zuma has informed Parliament that he has extended the deployment of 850 SANDF members for service in fulfilment of the international obligation of South Africa towards the African Union (AU) and UN, as part of the AU/UN hybrid operation in Darfur, Sudan (UNAMID). Members of the SANDF were employed in Darfur, Sudan, for the period 1 April 2014 to 31 March 2015, as part of the AU/UN hybrid operation. The extension of this employment is for the period 1 April 2015 to 31 March 2016. The total expenditure expected to be incurred for the employment is R369 079 895. The Africa-Nordic meetings are generally aimed at establishing new perspectives for the friendship, cooperation and solidarity that exist between various African countries and the Nordic countries. The Minister of International Relations and Cooperation, Maite Nkoana-Mashabane, is hosting the 14th Africa-Nordic Meeting of Foreign Ministers from 9 to 10 April at the Legend Safari Resorts, Limpopo. The Africa-Nordic Meeting was initiated in 2000 as an informal forum for political dialogue. The Africa-Nordic forum was initially aimed at 10 African states, namely: Benin, Botswana, Ghana, Lesotho, Mali, Mozambique, Nigeria, Senegal, Tanzania and South Africa; and the Nordic countries, i.e. Denmark, Finland, Iceland, Norway and Sweden. It was during the 13th Ministerial Meeting, held in Finland in 2013, that South Africa agreed to host the 14th Meeting. The 14th Africa-Nordic Meeting of Foreign Ministers is attended by 17 African foreign ministers and five Nordic foreign ministers. South Africa recognises itself as an integral part of the African continent and therefore understands its national interest as being intrinsically linked to the entire continent’s stability, unity and prosperity. 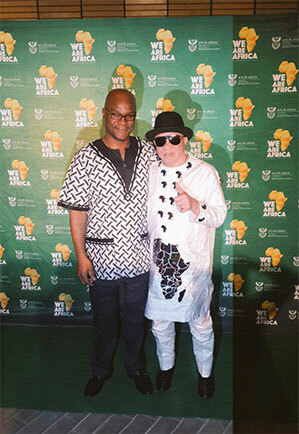 The Minister of Arts and Culture, Nathi Mthethwa, launched African Month on 1 April 2015. The Department of Arts and Culture will host Africa Month in partnership with other government departments, public entities and private and civic sectors. Africa Month will be celebrated under the theme: “We are Africa – Opening the Doors of Learning and Culture from Cape to Cairo”. This month-long programme will be characterised by various arts and culture activities, including music concerts, literature, film, fashion, cuisines and panel discussions. The Africa Month programme will strengthen socio, cultural, economic and political integration among African nations. 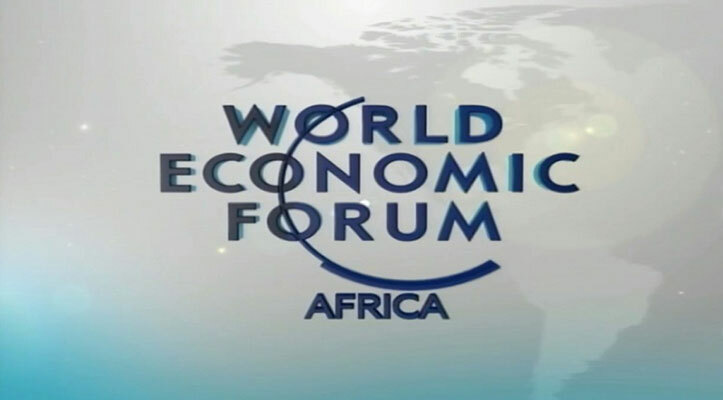 The 25th WEF on Africa will focus on the continent’s efforts to enhance competitiveness, invest in human capital, strengthen risk resilience and harness opportunities arising from technology adoption in all sectors. Under the theme, "Then and Now: Reimagining Africa’s Future", South Africa will host the 25th WEF on Africa, taking place from 3 to 5 June 2015 in Cape Town. The forum will convene regional and global leaders from business, government and civil society to take stock of progress over the last 25 years, share insights on the present landscape and identify innovative approaches to accelerate inclusive growth while bringing about sustainable development in the future. The WEF is an International institution committed to improving the state of the world through public-private cooperation, and engages political, business, academic and other leaders of society in collaborative efforts to shape global, regional and industry agendas. Together with other stakeholders, it works to define challenges, solutions and actions, always in the spirit of global citizenship. The vendor parade workshops are part of government’s technical investigation in preparation for a procurement decision. 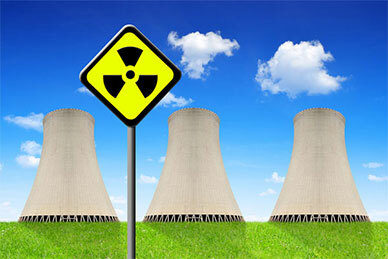 Government has concluded the nuclear vendor parade workshop that forms part of the country’s process towards the nuclear build programme, said the Department of Energy (DoE) recently. “Parallel to this work and as part of the preparatory phase, government successfully concluded the nuclear vendor parade workshops. The first workshop was held during the week of 20 October 2014 with the Russian Federation. “The second workshop was held with the French Republic, People’s Republic of China, Republic of Korea (South Korea) and United States of America during the period of 16 to 25 November 2014. “Government has recently (21 – 29 March 2015) concluded the third and final workshop with Canada and Japan,” said the department. The nuclear vendor parade workshops entail vendor countries presenting their nuclear technology offerings. The platform was created for vendor countries to showcase their capabilities on how, if chosen, they plan to meet South Africa’s needs for the nuclear build programme, including the required 9 600 MW nuclear power capacity. Senior technical officials from different government departments, energy-related state-owned entities and academia involved in nuclear and engineering programmes participated in the workshops to engage in robust and open technical discussions with the vendors, as well as among themselves. The department said the conclusion of the vendor parade marked a significant milestone in the Government pre-procurement phase for the roll-out of the nuclear new build programme. of human resource development and employment services in September 2014. Action and outcomes were the operative words when the Deputy Minister of Labour, Nkosi Phathekile Holomisa, recently met with his Chinese counterpart, Vice Minister of Human Resource and Social Security, Xin Changxing. employment programmes to meet the challenges of the labour market and globalisation. Holomisa and Xin have agreed that there is a need to prioritise the exchange of information and the sharing of best practices between the two countries on the systems and processes employed by the Chinese Government on public employment services. Similarly, emphasis was also placed on the exploring and learning from the model and approach to social security used in China and how they have reformed their social security system taking into account the growing population and attendant needs. The Western Cape Fine Food Initiative and the Malaysian Industry Government Group for High Technology (MIGHT) will sign a co-operation agreement to foster partnerships between the halal industries of the two countries. The Western Cape and Malaysia are set to partner to boost the development of a halal food hub in South Africa. It coincides with the 12th International Halal Showcase 2015, which is taking place in Kuala Lumpur. Speaking from Kuala Lumpur, Alan Winde, MEC of Economic Opportunities, welcomed the agreement. 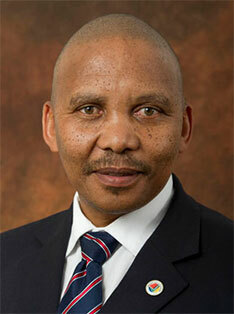 “This is excellent news for the development of the Western Cape’s agriprocessing sector. Project Khulisa has identified agriprocessing as a key growth sector, with the potential to add up to 100 000 jobs and generate R26 billion for the economy under a high-growth scenario. “The agreement is set to increase trade and economic opportunities between the two regions. 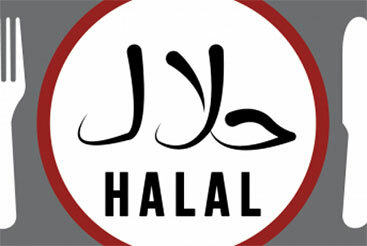 Malaysia is a global leader in the development of halal standards. The XIV World Forestry Congress 2015 (WFC 2015) will take place for the first time on African soil after South Africa was awarded the rights to host this prestigious and global event. The congress will be held from 7 to 11 September at the Albert Luthuli International Convention Centre in Durban, under the theme “Forest and People: Investing in a Sustainable Future”. The WFC is the largest and most significant gathering of the world's forestry sector and has been held every six years since 1926. The WFC is a forum for the sharing of knowledge and experience regarding the conservation, management and use of the world's forests. The congress will cover issues such as international dialogue, socio-economic and institutional aspects and forest policies. Furthermore, it will provide a platform for deliberating critical issues facing the forestry sector such as the role of food security in forestry – one of the department’s priority and focus areas. The award was founded by the Swedish Government in 2003 to honour Astrid Lindgren, the author of the Pippi Longstocking books. The prize aims to promote literature for children and young people that displays "a profound respect for democratic values and human rights". The Project for the Study of Alternative Education in South Africa (Praesa) has won the 2015 Astrid Lindgren Memorial Award – the largest award for children's literature, with a prize of 5m kroner. The award was announced live from the National Library of Sweden in Stockholm and broadcast live at the Bologna Book Fair. Tourists and South Africans seeking out sites and attractions associated with the late South African President will now have all the information they need at their fingertips. The Madiba-inspired tourist attractions map has now been developed into a mobile phone app to further enhance visitors’ experiences. The map was developed last year by South African Tourism in partnership with the Nelson Mandela Foundation. This is in commemoration of the 25th anniversary of Madiba’s release from prison. The app features tourist sites as well as general places of interest in the four main provinces that defined Mandela’s life. The sites range from the UNESCO World Heritage Site, Robben Island, where he was imprisoned and his post-Presidential office at the Nelson Mandela Centre of Memory to Qunu in the Eastern Cape, where he was laid to rest. 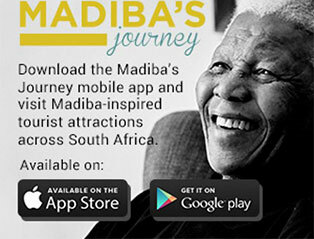 Tourism Minister Derek Hanekom said: “This app is inspired by a true South African icon and users now have the ability to find, experience and share some of the best attractions, places of interests and unique content we have ever been able to put together as part of this ‘Madiba-inspired tourist attractions’ offering." The Minister launched the new app at Liliesleaf in Rivonia, one of the places featured on the map. Liliesleaf is also a place which was once the nerve centre of the liberation movement and a place of refuge for its leaders, including Mandela. The South African comedian Trevor Noah will replace Jon Stewart on the satirical "The Daily Show" on Comedy Central (DStv 122) later this year. Stewart announced his retirement last month from Comedy Central’s signature show; his current contract is set to expire in September. 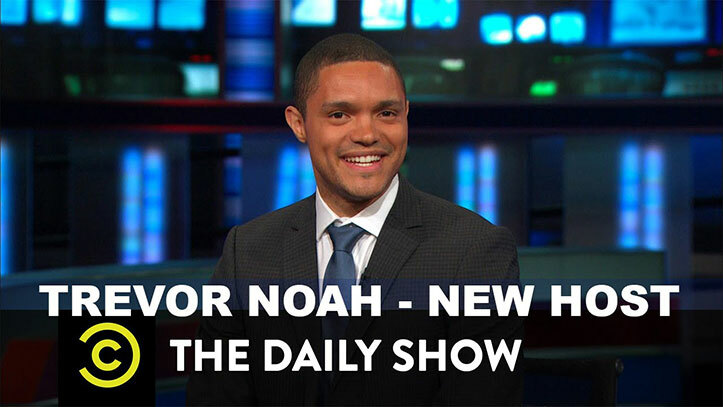 Noah first appeared on "The Daily Show" as a senior international correspondent on 4 December 2014. Before that, Noah appeared on "The Late Show" with David Letterman in 2013, and early in 2012 became the first South African comedian and "first African comedian" to appear and do stand-up on "The Tonight Show" with Jay Leno. His Showtime channel stand-up special, "Trevor Noah: African American" was broadcast in 2013.